Selecting the optimal cytometer for your experiment can be as important as the panel you design. We have compiled this useful list of popular cytometers for your reference. However, you should also consult your flow core manager for their recommendation. 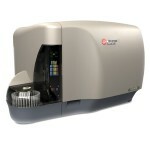 The ZE5 cell analyzer offers flexible configurations to meet a broad range of experimental complexities (up to 28-parameters) and throughput needs. To view common configurations and design panels with an integrated ZE5 specific spectra viewer, use FluoroFinders panel design platform here. 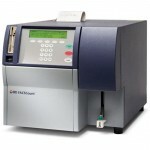 This desktop flow cytometer is the newest generation of the BD Accuri™ platform. Enhanced sensitivity and reliability bring flow cytometry within reach for new and experienced researchers. 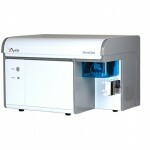 The Attune NxT Flow Cytometer combines precision with performance in a true benchtop flow cytometer with up to 4 lasers and 16 parameters of detection. 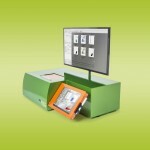 The AQUIOS flow cytometry system streamlines operations by incorporating automated loading, sample preparation, reagent management, and barcode scanning as well as data analysis and bidirectional LIS connectivity in one compact platform. 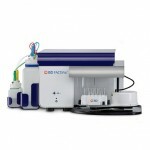 The BriCyte E6 cytometer system is equipped with dual-laser based optics. A red diode laser and a blue diode laser are used for exciting 4 to 6 colors of fluorescence lights. The optics are designed with state-of-the-art technology to ensure higher sensitivity for a better identification of cellular populations. 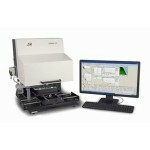 The COPAS FP platform is designed for the measurement of objects ranging in size from 20–1500 microns. 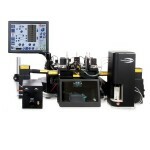 Each of the four COPAS FP models features a fixed, specially engineered fluidic path, flow cell and optics optimized for a specific subset of that size range to provide maximum speed, accuracy, resolution and throughput, depending on the application. 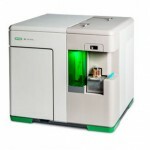 The CyAn ADP High-Performance Flow Cytometer utilizes multiple laser excitation sources to analyze biological cells, beads, or other microscopic particles. 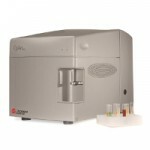 The CyFlow Cube is a compact bench top flow cytometer platform for analysis of single cells and microscopic particles. 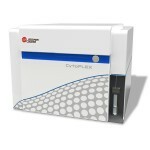 The CytoFLEX Platform is a revolutionary system presenting optimal excitation and emission, minimizing light loss and maximizing sensitivity. 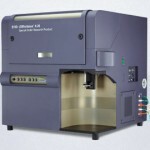 The BD FACSCanto™ family of benchtop analyzers features reliable performance and accurate results for experiments requiring up to 10 parameters. Patented optical design maximizes signal detection and increases sensitivity and resolution for each color in a multicolor assay. 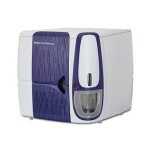 Designed to make multicolor flow cytometry more accessible and allow researchers to benefit from new innovations in instrument and reagent technology. Parallel advances in optical and reagent technology pair multilaser, multidetector instruments with bright new dyes, enabling increasingly deep and powerful insights in cell analysis. 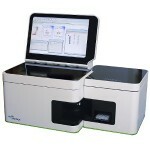 The FACScan™ system analyzes cells for routine research applications, immunophenotyping, and DNA cell-cycle analysis. The BD FACSymphony™ system is a novel cell analyzer that leverages the inherent benefits of flow cytometry and enables the simultaneous measurement of up to 50 different characteristics of a single cell. 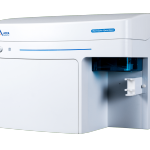 The BD FACSVia™ flow cytometry system is an easy-to-use benchtop solution designed to help clinical labs maximize efficiency by expediting sample analysis, simplifying workflows, and minimizing the need for training, maintenance and errors. 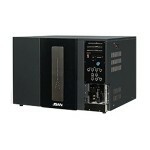 The FACSVantage SE system includes unique image collection optics that provide high sensitivity and resolution. Using up to three independent laser beam spots, you can collect as many as six fluorescence signals per cell. 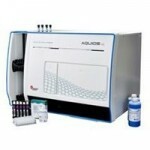 The FC 500 systems offers automated tube-based acquisition for cellular assays. With a flexible multi-platform loader, the FC500 accommodates 12 x 75mm tubes and 24- or 96-well plates on the same system. 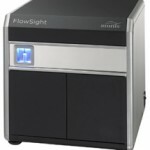 The Amnis Flowsight imaging flow cytometer produces up to 12 images of each and every cell at ~20X magnification, allowing visualization of fluorescence from the membrane, cytoplasm, or nucleus. 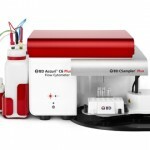 The Gallios Flow Cytometer research system delivers analytical excellence by coupling extraordinary sensitivity, resolution and dynamic range with high-speed data collection. 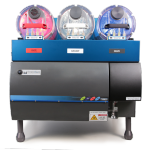 Available in a variety of laser configurations, Guava® easyCyte flow cytometers utilize small sample volumes, generate minimal waste, and have lower operating costs. 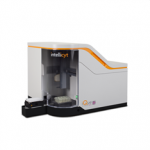 The revolutionary ImageStream®X Mark II Imaging Flow Cytometer combines the speed, sensitivity, and phenotyping abilities of flow cytometry with the detailed imagery and functional insights of microscopy. 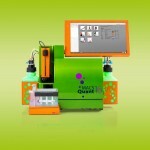 The iQue Screener PLUS platform is an integrated instrument, software and reagent system that enables rapid, high content, multiplexed analysis of cells and beads in suspension. 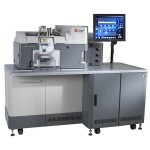 The LSR II flow cytometer is fully configurable with one to four fixed-aligned, air-cooled lasers. 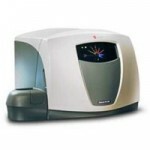 The LSRFortess cell analyzer offers the ultimate in choice for flow cytometry, providing power, performance, and consistency. The BD LSRFortessa™ X-20 cell analyzer delivers high-performance multicolor analysis with the most compact footprint in its class. 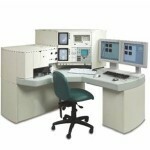 5 lasers can detect up to 20 parameters simultaneously. 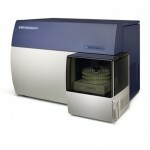 The MACSQuant Analyzer 10 is a powerful benchtop flow cytometer with 3 lasers and 10 parameters. 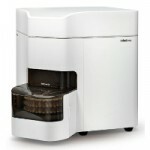 It is designed for hands-free operation with a range of completely automated assays including washing and staining steps. 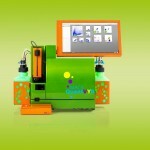 The MACSQuant® VYB Analyzer shares all the automation capabilities of the MACSQuant Instrument family. 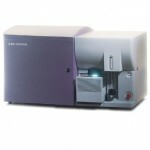 It´s 3 laser, 10 parameter optical bench is equipped with a yellow/green laser for the analysis of fluorescent proteins. 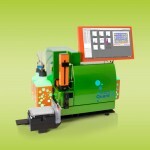 The MACSQuant® X was made to provide speed and reliability in high-throughput screening. 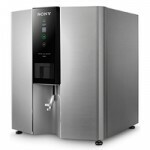 Perfect for laboratories that want to maximize efficiency and output, while enjoying the certainty of getting reliable results from every run. 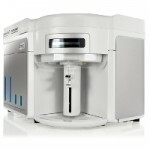 The MACSQuant X can analyze 96-well plates in under 15 min. , 384-well plates in less than 1 hour. A true benefit in large-scale screening settings. The MACSQuant® Analyzer 16 facilitates fully automated data acquisition in a 24-tube or 96-well plate format with 3 lasers and 16 parameters. The Navios flow cytometer is a clinical system that delivers analytical excellence by coupling extraordinary sensitivity, resolution and dynamic range with high-speed data collection. 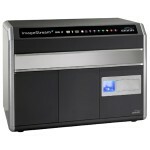 A high performance benchtop flow cytometer designed for all levels of users and all types of laboratories. Capable of detecting up to 15 parameters with enhanced sensitivity and resolution, the customizable laser and optical configurations of NovoCyte offer a high degree of flexibility while providing complex cell analysis capabilities. 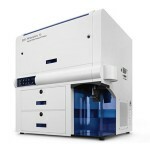 The 4 laser, 18 color S1000EXi flow cytometer is built to provide you with the ultimate in scalability, upgradeability, and performance. 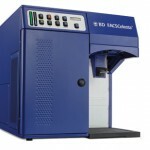 Based on the same proven technology as the S1000 series, the SE520EXi series is a 2 laser and 6 color fixed configuration system offered at a lower price point. 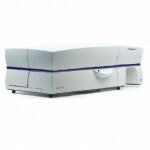 The SA3800 spectral cell analyzer incorporates advanced electronics to optimize sensitivity and enhance dim signal detection by collecting photons from 420nm to 800nm. 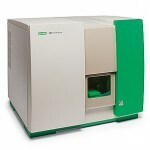 The SP6800 spectral analyzer uses spectral technology to simplify analysis and eliminate the need for bandpass filters. With 4 lasers, 25 colors, and 25 independent, highly sensitive detectors, the new NovoCyte Quanteon™ easily accommodates the large, multi-color panels found in today’s highly progressive flow cytometry laboratories. 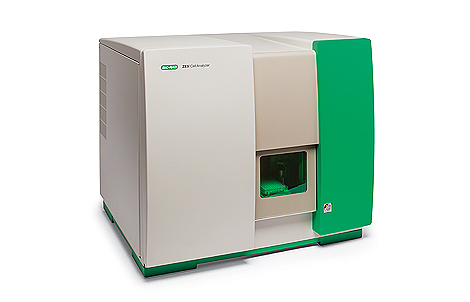 The ZE5 cell analyzer offers flexible configurations to meet a broad range of experimental complexities (up to 28-parameters) and throughput needs. 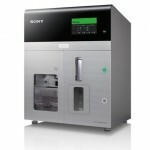 Designed for high-performance cell sorting in a wide range of applications. 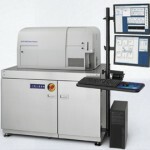 The BD FACSAria also includes sensitivity for multicolor sorting applications, optics system for multicolor detection, and software for data acquisition and analysis. 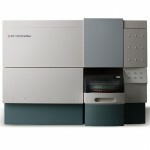 The Fusion is an evolution of the BD FACSAria™ sorter introduced in 2003. A comprehensive cell sorter and biosafety solution, the fully integrated biosafety cabinet meets emerging operator and sample protection requirements as well as global standards for bioprotection. 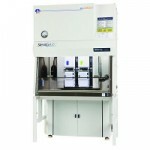 The BD FACSCalibur™ platform allows users to perform both cell analysis and cell sorting in a single benchtop system. The system supports a wide variety of research and clinical applications and is complemented by a broad suite of intuitive software solutions to streamline analysis for a wide range of applications. The FACSCount™ system provides both absolute and percentage results of CD4 T lymphocytes to stage progression of HIV/AIDS, to guide treatment decisions for HIV-infected persons, and to evaluate effectiveness of therapy in a wide range of laboratory settings. 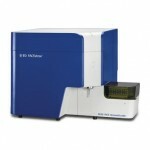 This cell sorter features dependable BD performance, a benchtop fit, and simplified operation at an affordable price. FACSJazz™ is designed to make the most commonly used sorting applications accessible to researchers with limited flow cytometry experience. 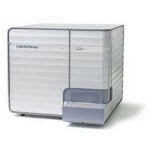 Offering simplified operation without sacrificing performance, the BD FACSMelody™ cell sorter makes the complex world of flow cytometry and sorting accessible to more researchers with lab efficiency and cost savings. 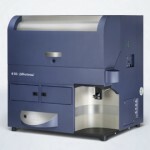 The BD Influx™features modular architecture, hands-on controls, support for up to ten lasers, exchangeable detector options, high throughput, and six-way sorting that make the system highly adaptable for specific research needs. 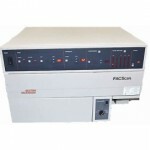 This desktop cell sorter has evolved over 20 years, resulting in significantly improved performance, reliability and user-friendly operation. 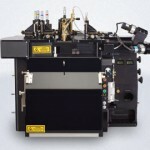 The improved JSAN (3 laser, 8 color) facilitates sorting of target cells with excellent purity and high recovery. 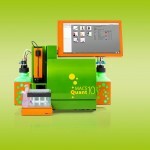 The MACSQuant® Tyto® is a next generation, benchtop cell sorter using a microvalve-mediated gentle sorting technology. The MoFlo® Astrios™ EQ. 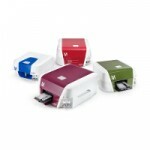 Perform 6-way sorting without compromise. The dual enhanced forward scatter (eFSC) technology allows you to see and sort small cells, and measure crucial particle characteristics from 200 nm – 30 µm diameter. The open architecture design of the MoFlo® XDP accommodates diverse sorting applications. 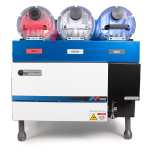 Compatible with array of laser options, it delivers unmatched sorting capability with high viability, yield and purity at 100,000 analysis rate events/second. The S3e Cell Sorter offers real-time monitoring and automated smart features make cell sorting easier and accessible to both novices and experts. This compact system is equipped with up to 2 lasers and up to four fluorescence detectors plus forward- and side-scatter detectors. 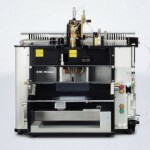 This benchtop cell sorter enables sorting of a wide range of cell sizes and applications using the 70 μm, 100 μm, and 130 μm microfluidics sorting chips. This novel, chip-based design is fully integrated with comprehensive fluidics controls and advanced automation for set-up, acquisition, sort and analysis to make sorting less subjective, more precise and easier to use. The SY3200 system’s flexible laser delivery array allows for ultimate laser compatibility, while the unique reflective collection optics ensure maximum fluorescence collection efficiency.